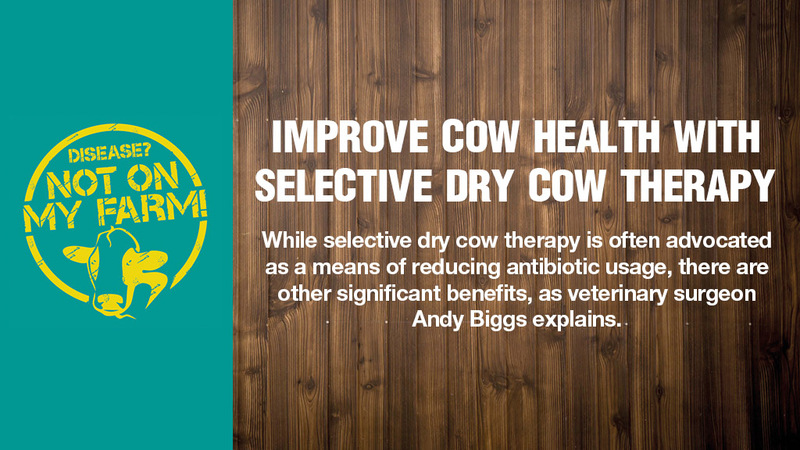 Focusing on identifying cows which need antibiotic treatment at drying off is the key message from Andy Biggs, The Vale Veterinary Group, Tiverton. The best time to treat a cow with an intramammary infection is at drying off, when it is between three and five times more effective than during lactation. Mr Biggs says: “Underwrite the whole herd with teat sealant and only treat those which justify antibiotics. “Historically, bulk tank somatic cell counts [SCC] were in the region of 500,000 cells/ml and we did not have teat sealants for protection then, but now the UK is leading the way in milk quality within Europe. “This calls for a different strategy. With a national average bulk SCC of about 160,000 cells/ml, rather than half the cows being dried off, justifying treatment currently, it is more likely to be about onein-six cows, meaning the use of blanket antibiotic dry cow therapy [DCT] is unsustainable and could actually harm cows, as well as being expensive. “Research shows if you treat an uninfected cow with antibiotics, often identified as a cow with a low cell count, it can have a negativeeffect, perhaps by impacting the normal flora in the healthy udder, which can lead to a greater risk of mastitis after calving. “The trick is to choose which cows to treat, as we do in other situations when we use antibiotics, and should be done on a cow by-cow basis. “We should take into account a cow’s last three SCCs, its teat end quality, and look at whether it has had a case of clinical mastitis within the last three months. Mr Biggs advises farmers to work with their vets, using milk records, to set a threshold above which cows should be treated and to use individual cow cell counts to monitor dry period performance in terms of protection and cure. He suggests herds with a high bulk tank cell count have a lower individual cow cell count threshold than those with a lower bulk tank cell count. If farmers are cautious, they should start with a low threshold, so just a few low cell count cows do not receive antibiotic DCT and see how it goes until they become more confident. Mr Biggs says: “Every cow deserves a teat sealant, but technique and hygiene is vital, and effectively needs to be surgically clean. “In the past, using a teat sealant in conjunction with antibiotics afforded a degree of protection, but if only using a sealant, cleanliness is crucial. “Putting a teat sealant into a cow and allowing contamination can result in fatalities soon after infusion from severe toxic mastitis. “Infusing teat seal alone is a very different process from infusing antibiotic DCT and teat seal together. Disease? Not On My Farm! ambassador Fraser Jones is hosting an MSD Animal Health organised ‘dry period and selective dry cow therapy’ workshop. He says: “At the moment, we are not using selective dry cow therapy, and use antibiotics at drying off on all cows. This article is part of a ‘Disease? 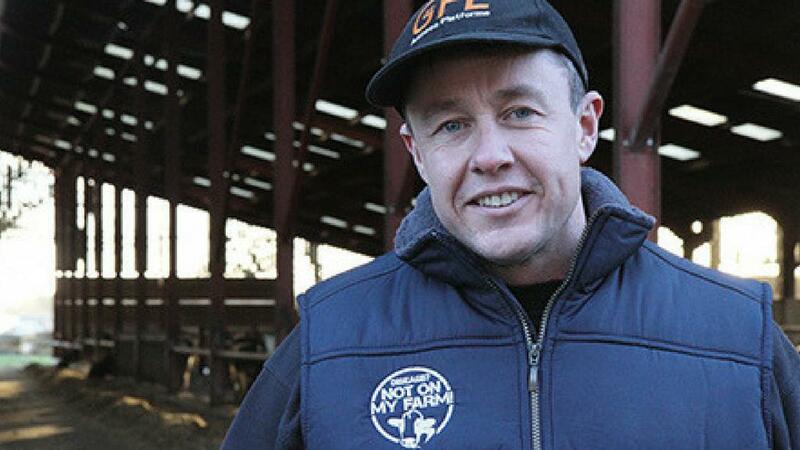 Not On My Farm!’ series which showcases proactive beef and dairy farmers taking pride in their robust herd health and disease management approach.